Hear three poets of color mix and remix translation, through love letters, laws, and binary code. 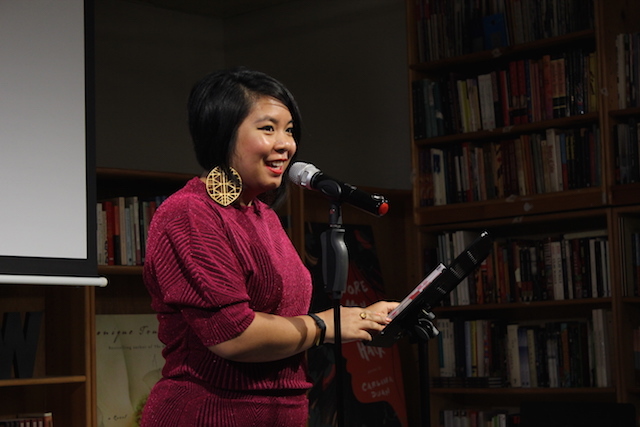 Bay Area-based Filipina poet Janice Lobo Sapigao will share music and visuals alongside her salvaged family love letters written in Ilocano and a poetic critique of the Silicon Valley, where her mother assembled microchips. Newly minted Philadelphia Poet Laureate Raquel Salas Rivera, the author of the forthcoming lo terciario / The Tertiary, will read from their bilingual poetry collection about US colonialism in Puerto Rico. 2017 Kundiman Poetry Prize winner Adeeba Talukder, a Pakistani-American poet and translator will read her work inspired by Urdu and Persian poetic traditions. An evening of new decolonial poetics.